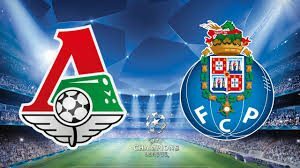 Porto welcomes Lokomotiv Moscow in a match from Group D of the Champions League. Let’s head out to Estadio Do Dragao to take a look at this clash. Porto are leading this group with 7 points won so far. The Portuguese giants started their participation in the group with a draw against Schalke 04 in Gelsenkirchen. After this, the Dragons enjoyed two consecutive wins against Galatasaray and Lokomotiv. These two teams met in Moscow two weeks ago. The match in the Russian capital ended with a 3-1 win for Porto. The goals for Sergio Conceicao’s team was scored by Moussa Marega, Hector Herrera and Jesus Corona. Anton Miranchuk scored for the Russians, but this goal was not enough for something more in the game. In the Portuguese Primeira Liga Porto are leading the standings with 21 points won. In their last five games the Dragons are almost perfect – four wins and one loss. Lokomotiv Moscow are in a complicated situation in this group. Right now the Russian side is 4th in the group without any points won so far. Lokomotiv lost against all of the teams in the group so far – Porto, Galatasaray and Schalke 04. In the Russian Premier League Lokomotiv are 2nd in the standings with 24 points and 7 points behind the leader Zenit. But right now the champions are in a great form, winning all of their last five games in the league. In their last match Lokomotiv enjoyed a 3-1 win over Arsenal Tula at the RZD Arena. Benedikt Howedes and a brace from Anton Miranchuk allowed the champions to win this one pretty comfortably. That’s our thoughts about the Champions League clash between Porto and Lokomotiv Moscow at the Do Dragao. Porto are favourites here, but who knows – maybe Lokomotiv will win their first point in the group?